Most consumers today face the problem of plenty. You name just about any consumer goods, and the range of options, a variety of colors and combinations can be overwhelming. In this context, the baby bike trailers are no exception. 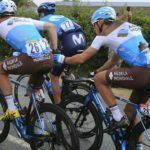 Given the wide popularity of biking as a sport as well as a choice of commute, the question is how you carry kids along with you. Unlike the cars, there is no passenger seat to plonk them on. Perhaps that is the reason why you need to look for the best baby bike trailers. But the necessity, in this case, does not make the choice simple. It is, in fact, overwhelming in terms of the range of options and the variety of price points that these are available. Well, a basic rule of the thumb will be that the time that your child is going to spend and the distance you will be covering will decide how much you want to spend on it. Additionally, you will also have to weigh out the relative return to cost for every possible spend that you consider. One of the first factors to consider is the type of the baby bike trailer that you prefer. This will, of course, depend on the seating preference of the child and the duration for which they will be seating. But we decided to make the choice a lot simpler for you with our quick rundown on the top options that are available for you. 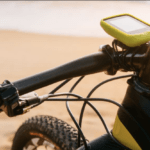 Of course, there are many beyond it, but this can be a ready reckoner of the key elements that you must consider before you go out and consider the options for the best baby bike trailer. This is a simple and a straightforward baby bike trailer. It is easy and compact, but for a single child. The InStep Sync Single Baby Bicycle Trailer is one of the best baby bike trailers in the no-frills segment. There is nothing exceptionally radical in this one. But this baby bike trailer addresses the basic needs quite appropriately. It is, in fact, ideal to take your child with you in and around the town. This trailer has about 16” pneumatic tires that come with molded rims and folding frame and quick release wheel. The set-up enhances the quality of the ride, overall performance and style quotient associated with this baby trailer. It also cuts down on the set-up time that is required to fix this trailer. 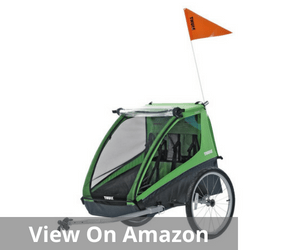 It also comes with a 2-in-1 canopy. It serves two purposes. On the one hand, it helps to shield your child against weather-related vagaries, and at the same time, it also acts as a bug screen. When you are biking at a speed, this is very useful in ensuring that the child is not exposed to rain/snow or other potential problem points. However, this is only for short distances and not suitable to go for any long distance rides with your child. It can carry a maximum weight of about 40 pounds. That means beyond a point; it may not be as appropriate for your child as you may think. 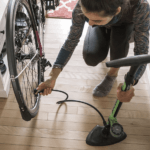 This is best suited for bikes with the wheel diameter around 26 inches. Certain reviews indicate that it can be quite dangerous for wheels which are any wider than this. Almost taking cues from the previous InStep Sync, the InStep Take 2 Double Baby Bike Trailer is pretty much an improvement on most of its inefficiencies. It is undeniably one of the best baby bike trailers not just for the lightweight, compact design, but also the efficiency that it embodies. In short, this is an extremely versatile and convenient baby trailer. The additional seating capacity adds to the user’s benefits, and most importantly, it has enough space to accommodate your kids and also all the stuff along with them. 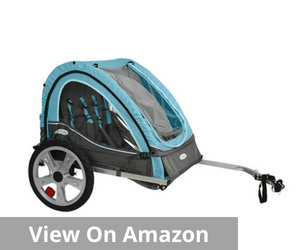 This is an easy to use foldable and compact baby trailer. It can easily fit into your car boot and comes with a trademark InStep 2-in-1 canopy. It protects your children from all possible bug or weather-related vagaries. At the same time, it can also be stored away quite easily when not in use. The rear ventilation and the safety harness add to the convenience factor. 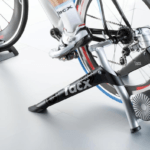 The quick release wheel measures 16 inches in diameter. This baby bike trailer does not need time to assemble and at the same time can be stored quite easily. Sufficient seating capacity for two small children. Beyond age four, it can get a bit uncomfortable for them. 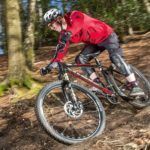 No solid axle or suspension as a result rides can be rather uncomfortable on rough terrain. It can be quite bumpy for the children. 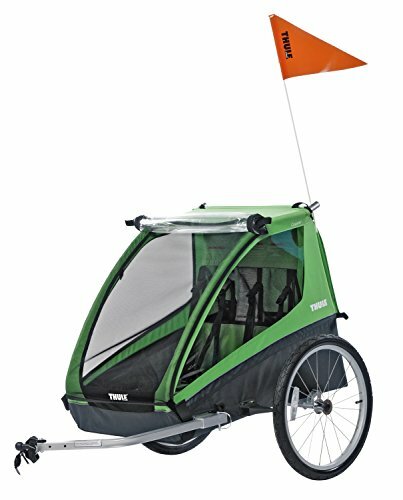 If you are the type of parent who loves to spend time with kids even when they are working out, this is one of the best baby bike trailers. The top features in this trailer include a swivel front wheel with a locking facility and a full suspension system. The suspension system is the other most important feature of this trailer. This is often the most important concern for most child bike trailer. In the absence of a proper suspension system, the ride is rather uncomfortable. The children are forced to withstand somewhat bumpy terrain. However with this Aosom Elite II 3in1 Double Child Bike Trailer, the suspension system makes it a way more comfortable option for your child. You can use it on all types of terrain and still be confident of your child’s comfort. This bike trailer also comes equipped with a hand lock brake system. This is set up on the rear wheel of the stroller, and as a result, you can safely lock it when you are parking. This also reduces the chances of the trailer drifting away. It can withstand a maximum weight of 88 lbs. 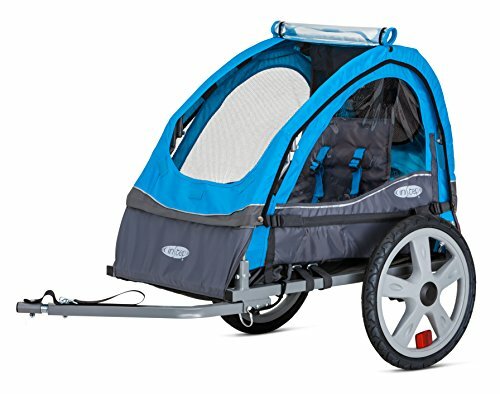 This is, in fact, a 3-in-1 bike trailer that also can be used as a separate stroller. You can use it for a variety of family engagement and gatherings and ensure your child’s comfort at all times. The fact that it has a lightweight sturdy frame ensures that it is easy to carry even in rough terrain. Moreover, the maintenance is also rather simple. This baby bike trailer also comes equipped with a five-point safety harness. This ensures your child’s safety at all times. The weather shield helps you to protect your child from sun and rain. Moreover, it folds rather simple and can be stored away when not in use. Lock-in facility and safety harness maintain your child’s safety at all times. However, for all its advantages, some users feel the company could have done a better job in terms of the tire quality. Though, it is quite capable of being used in the rough terrain, just the fact that the tire is not so great, limits its usage. But this does not come across as a generic feedback. Select users have only highlighted this issue as part of their review of the product. 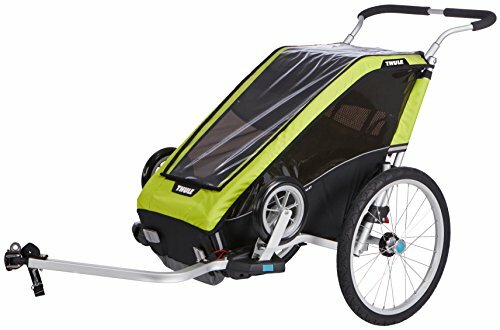 If you are looking for a baby bike trailer that is comfortable for two children, packed with feature and is yet very affordable, it is time to consider the Thule Cadence Baby bike trailer. 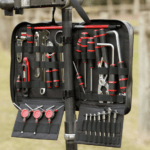 This is an extremely easy to use and operate bike trailer. It is comfortable, sturdy and safe. 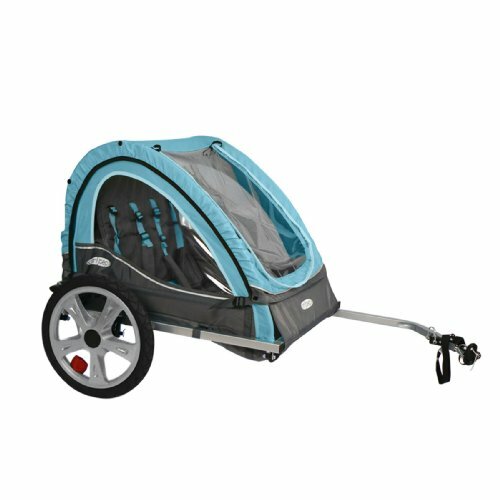 Whether you are going to the shopping center downtown or on a biking adventure, this is one of the best baby bike trailers to carry your little ones cozily and comfortably. 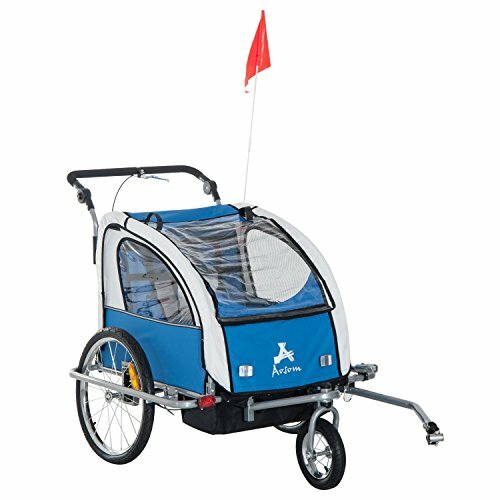 The climate-controlled cockpit is one of the best features of this bike trailer. 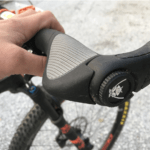 That apart, it also has very secure bike attachments that use the ezHitch technology patented by Thule. The bike also boasts of additional space for storage. The roll down rain cover and additional side vents add to your child’s comfort at all times. That apart, this product is very compatible with a wide accessory range. 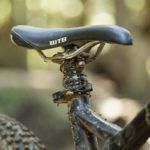 This surely gives you a lot more flexibility and makes your bike a lot more versatile than you may consider otherwise. In terms of your child’s safety too, you have a superior product in hand. With this baby bike trailer, your child’s safety is not compromised in any way. Their safety standards meet international guidance, and you can be rather cool about their safety and comfort. The ezHitch technology enhances the safety aspect of the baby bike stroller. This is one of those unique products with practically 0% 1-star or 0-star rating. But just 5% of the reviewers believe that the company could have done a better job with the seating. 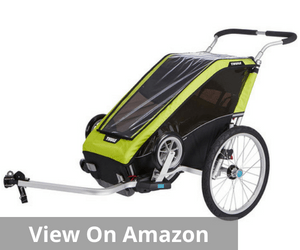 This is undeniably one of the best baby bike trailers for not just biking but multiple sports. It is an extremely lightweight stroller, and the aerodynamic design is the biggest highlight of this piece. Enhanced efficiencies for better output are the hallmark of this baby bike trailer. The handlebar is adjustable to suit the varying heights of different parents. Convenience and comfort is the middle name for the Thule Chariot Cheetah multisport bike trailer. The design for this is refreshed with blue touchpoints. These touch points are useful for ensuring a series of intuitive functions. 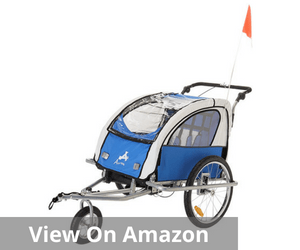 This product comes equipped with both the bicycle trailer kit and strolling kit. As a result, you can switch usages as per your requirement. In case you are keen on jogging or skiing, those kits are also available separately. So basically here is a product that is very high on features and ensures 100% user comfort without forcing parents to change their lifestyle. In fact, this is a kind of product that offers parents the incentive to spend more time with their child. 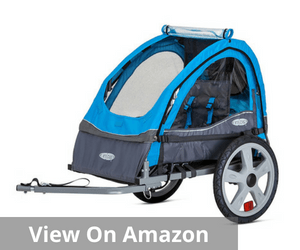 There are some other interesting features like the use of the reflective material in this baby bike trailer. This helps in keeping your child visible at all times and safeguarding him from the harmful rays that an extended outside exposure can lead to. 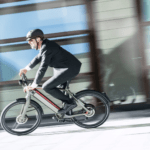 The aerodynamic shape is the other key innovation in this product. It enhances both the speed and efficiency. Most importantly, it also comes equipped with the Thule Warranty where users get a lifetime guarantee against manufacturing and material defects. Reflective material cover for better protection and comfort. The only issue that any reviewer seems to be facing is different types of seating challenges for different age groups. For tiny children, about 1-year old, it is not comfortable while for 3-year and above, it may get a bit cramped with the helmet. But that is not a generic complaint. Overall, everyone seems happy with the core product and its efficiency. There are, therefore, several parameters when you are looking for the best baby bike trailers. Despite there being a number of factors, the child’s comfort is primary. Only a solid suspension will guarantee that your child will have a comfortable ride in this trailer. Therefore, go for ones that have a definitive edge in terms of suspension facilities. They will ensure that whether you use these for jogging, strolling or any other sport, your child’s comfort is not compromised in any case. If you have noticed different bike trailers are useful for different age groups. Some are more appropriate for younger kids and become too cramped for older kids. On the other hand, you have ones that are more comfortable for older kids. Too small children may tend to fall down in the bigger ones. 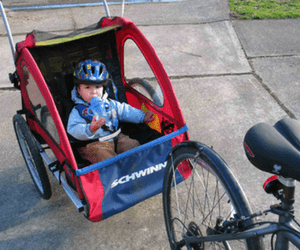 All in all, it is very important to opt for age-appropriate bike trailers. That is how you can guarantee the best possible comfort for your child. When you are deciding on a specific baby bike trailer, it is important to ascertain how many seats you will prefer. It is possible that you may be getting a bargain offer when the trailer has only one seat, but sometimes you may be picking your friend’s daughter from school too. So as a result, a double-seater is a much better option or you. So along with the comfort quotient, it is essential that there is adequate seating arrangement as per your requirement. The compatibility of the trailer with your bike is crucial. Some trailers have universal plugging adapters. That means they can be paired with just about any bike. But on the other hand, there are some that support the bike with specific wheel measurements. For both your safety and comfort, it is essential to match these specifics. That alone will ensure that you will have an enjoyable ride. Now we can conclude that the choice for the best baby bike trailer is based on a variety of factors. Different bikes have different features. From the composition of the frame to its durability and the safety elements, all play a significant role. But above all, the comfort of your child is most important. But at the same time, your budget matters as well. That is why it becomes rather important to analyze every aspect carefully. If the task overwhelms you, here is an easy way out. 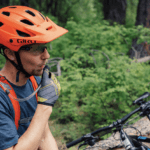 Just refer to our list of best bike trailers and decide.